Save the date photo cards! Size 5 by 5 inches on thick, 110lb cardstock! 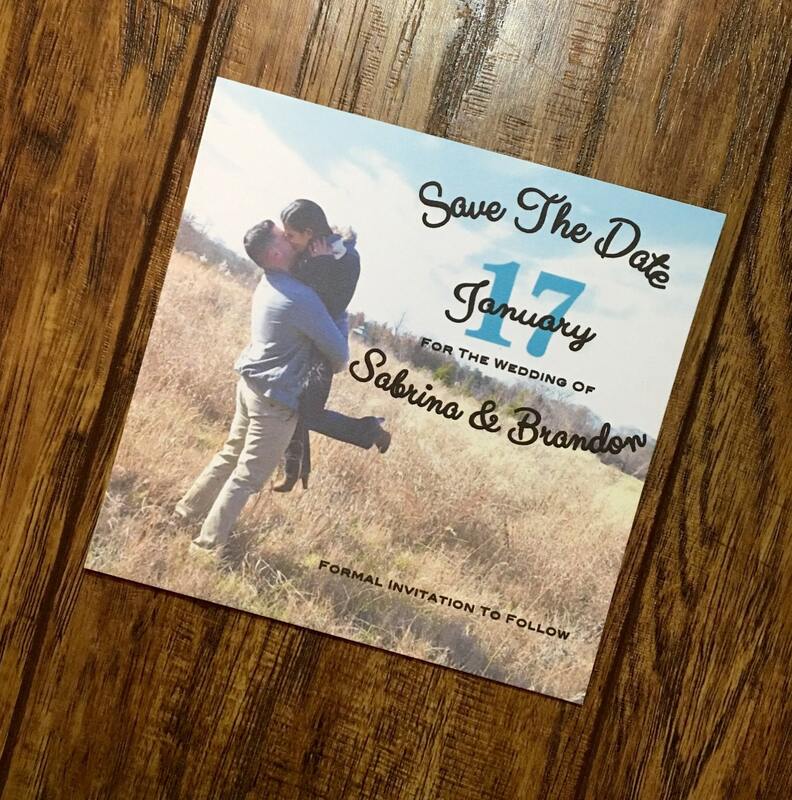 Save the date photo card with your choice of photo and color font. 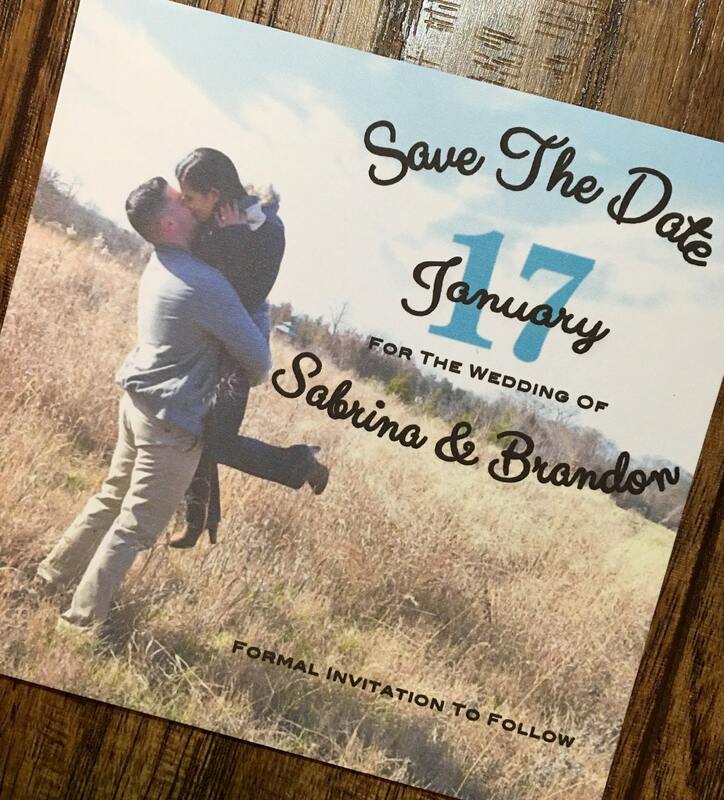 I will send you a proof of your save the date within 24-48 hours so you can add/edit anything you'd like. As soon as you approve of the proof, I will get started on your order. 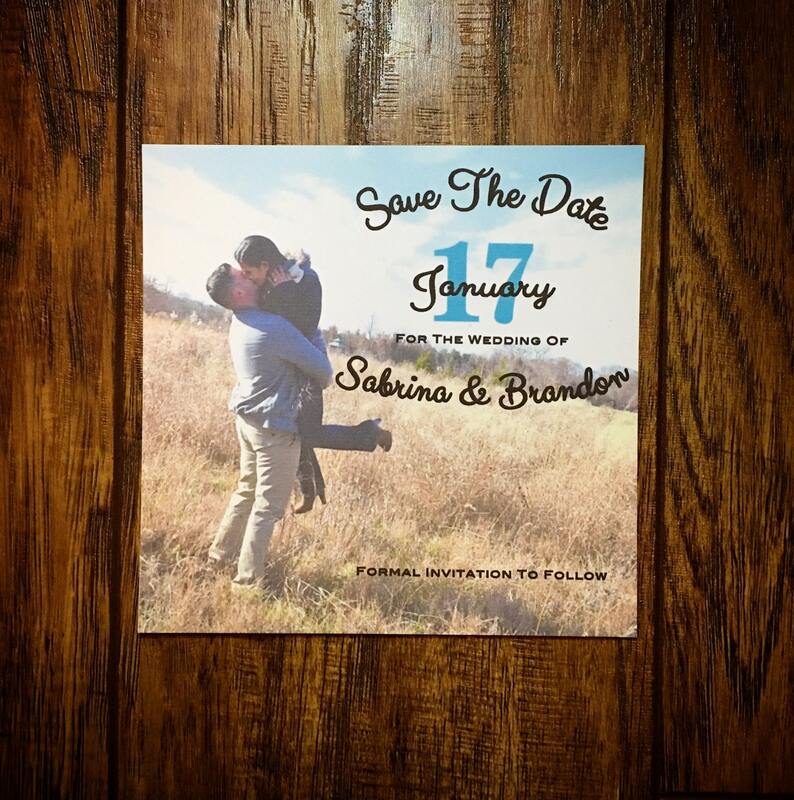 I am extremely easy to work with and will make sure you are 100% satisfied with your save the dates! Great customer service & very prompt!